Even after years of equality, there are precious few female executive chefs at sea. But appropriately enough, Fred. Olsen Cruise Lines’ Boudicca – named after a warrior queen – has one, and her name is Sara Sipek. “I started working in a pub as a cook on Saturday mornings for extra pocket money and I was persuaded by the landlord to take up a career in catering,” she says. Twenty-five years on, she finds herself in charge of her own floating kitchen. Commanding a brigade of chefs anywhere is often challenging; such a large team in the kitchen must operate with ahigh level of mutual respect. Overseeing the operations of 63 chefs in the galley aboard a cruise ship is an even more demanding role, but it is one in which Sara is absolutely in her element. Sara’s team is responsible for delivering more than 3,000 meals per day to passengers and crew. 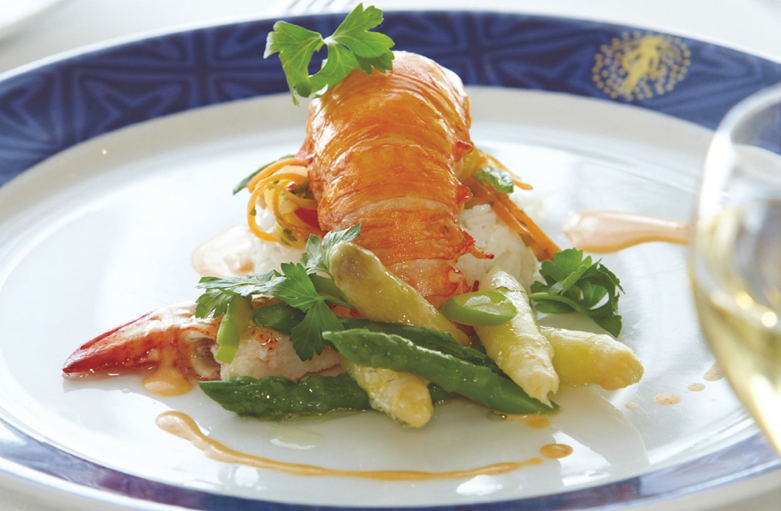 The menu planning begins long in advance of each sailing, sometimes months ahead, depending on the length of the cruise.For a two-week voyage, the galley team will serve up 12 tons of meat and seafood, 718 litres of cream, 15,500 fresh eggs and more than 15,000 portions of butter. It is also the job of the Executive Chef to ensure that the ship never runs out of one of the most important things of all: tea bags, all 22,500 of them. 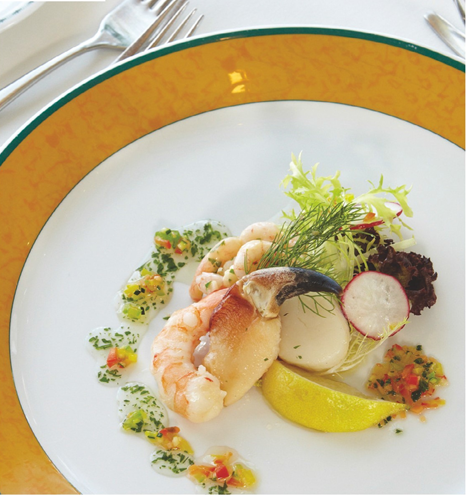 The Heligan Room, Four Seasons Restaurant and Tintagel Restaurant are Boudicca’s three main dining rooms and they are all situated together on Deck 6. Although interconnected, they each have their own individual atmosphere and style. The Tintagel Restaurant is loud in its colour scheme: bright lighting – and shocking pink mixed with deep browns – establishes the ambience perfectly for a fun and enjoyable evening. The Four Seasons and the Heligan Room – named after Cornwall’s “lost gardens” – are a little more subtle: both decorated in clean, warming earth tones and offering a more formal and intimate dining experience. For guests who prefer the freedom to dine as and when they please, the Secret Garden Café, also on Deck 6, offers a more relaxed experience as a self-service option and the Indian banquet is particularly popular, with delicious buttered chicken, fresh naan breads and generous helpings of tasty chutneys. Fred. 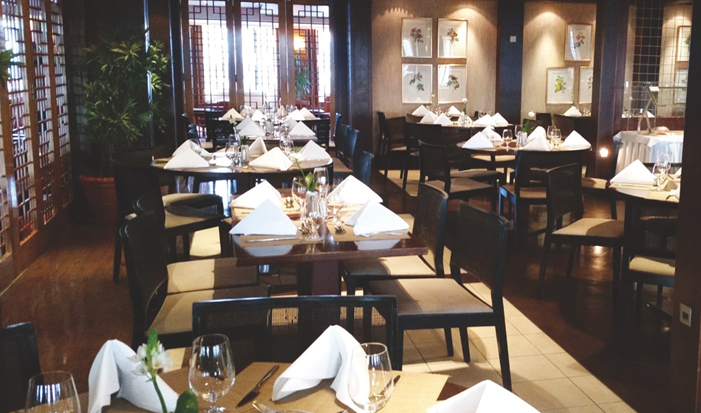 Olsen Cruise Lines recently introduced The Grill, an alfresco venue which offers a premium menu for passengers who wish to add something special to their dining experience. The Grill on Boudicca is on Deck 6 aft, and for a cover charge of £20 per person guests can enjoy a selection of prime cut steaks and fresh seafood, all under the warming glow of the setting sun – when the weather is being kind. It wouldn’t be a Fred. 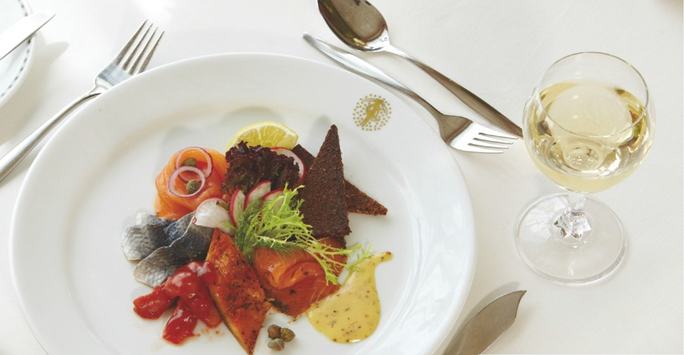 Olsen cruise without a creamy, home-made soup to start every evening meal. It is one of the things that the line is renowned for and I always make sure I sample as much of it as I possibly can. Consomme is always a disappointment to me, but I can thoroughly recommend the roasted garlic and potato soup featured at the end of this article. Other favourites include cream of courgette and thyme, potato garnished with bacon, and cream of red and white onion. Accompanied by a warm bread roll and a portion of rich Kerrygold butter, they are all simply delicious. I was interested to know what the most popular dishes were on board; Sara was happy to confirm that “steaks are always a very popular choice and each one is cooked to order, but it is the soup that people always comment on the most.” I can certainly believe that. Boudicca ‘s main course offerings are quintessentially British and very traditional. On my second evening aboard I ordered a beef fillet served with fondant potatoes, forest mushrooms, braised shallots and Madeira jus. The beef was cooked to absolute perfection and it was deliciously juicy. Other menu delights I tucked into included roast turkey with creamy gravy, roast potatoes and asparagus; mustard crusted sirloin of beef with dauphinoise potatoes and green beans; and every Brit’s favou rite -fish and chips with mushy peas. Veal, red snapper, lamb and salmon were other popular menu options during the I I-night voyage. 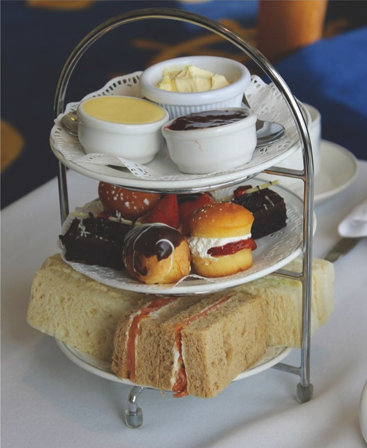 An indulgent afternoon tea is available on Boudicca at an extra cost of £6.95 per person – try finding a hotel that cando it for anywhere near that price. 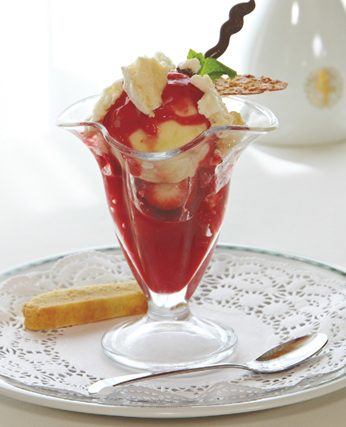 It is served – by white-gloved waiters and waitresses – in The Observatory, where passengers can watch the world go by. The China rose petal leaf tea is flavoursome and incredibly smooth. Sandwich options include plump shrimp with avocado, smoked salmon and cream cheese, cucumber, and egg mayonnaise. A selection of mini pastries accompanies the savou ry option and there are the obligatory warm, mini scones with a selection of preserves and fresh, thick whipped cream. What would an Executive Chef serve at her own dinner party? Well, as an appetizer, how does sauteed wild mushrooms in fromage frais served on sourdough toast sound? To follow, crab linguini , and for dessert, treacle tart. Of course, every good dinner party must end with a cheeseboard , but that’s an addictive subject for Sara, who admits she likes it so much that she has had to download an app which hypnotises her during her sleep and stops her from wanting to eat so much of it.